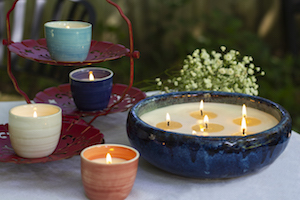 I am excited to join a group of my favorite DIY bloggers to share some fun projects that you can do for Spring. 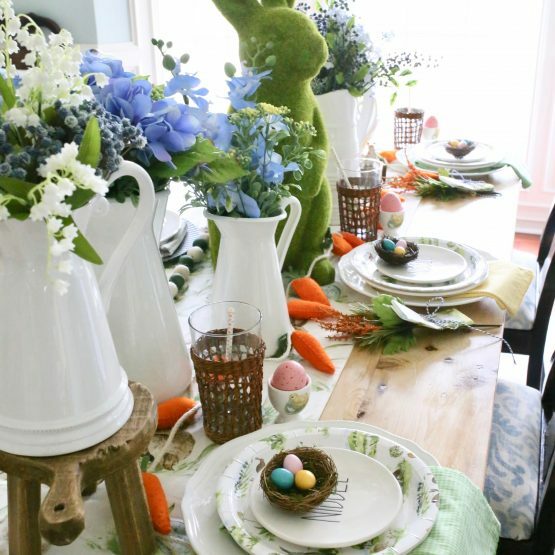 I hope you act like a bunny and do the blog hop! Sorry, not punny! 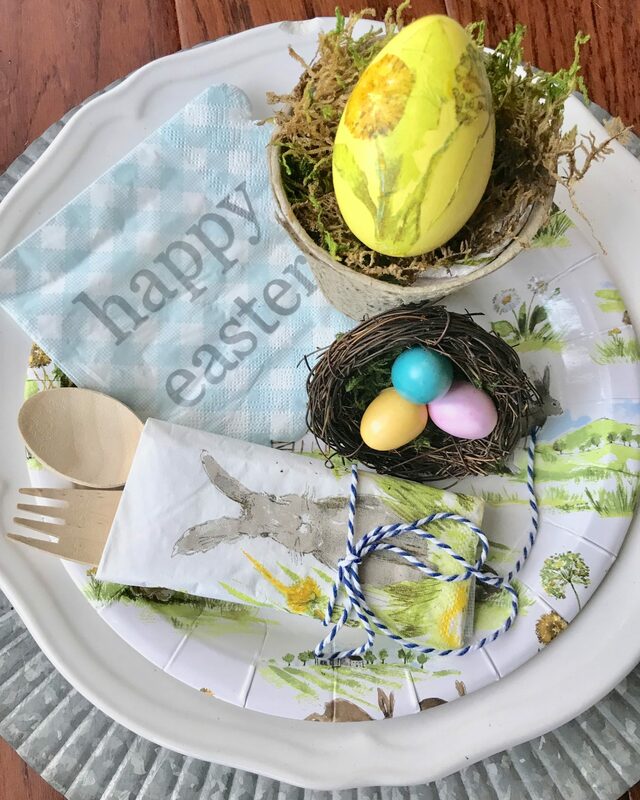 But really, check out my DIY decoupaged eggs made from paper napkins and then follow the DIY Spring tour. All the chicks are doing it! Still not funny? I recently found the most adorable paper goods for Easter from TJ Max. The brand is Cynthia Rowley and it is such a sweet, classic design of blues, greens and yellows inspired by watercolor paintings of bunnies, florals and a gingham pattern. The plates and napkins are almost too cute to use, so I found a way to have my cake and eat it too. 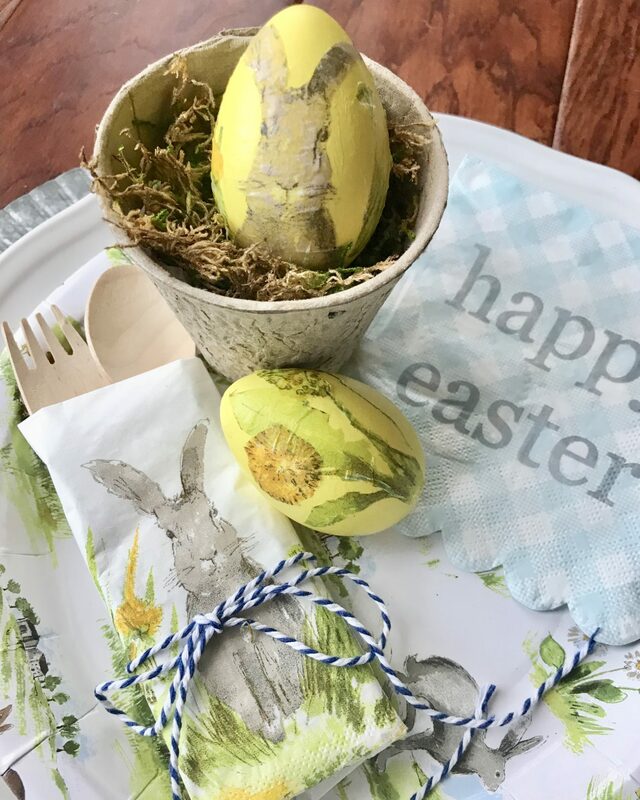 I cut apart my favorite scenes from the paper napkin to decoupage onto colorful eggs. 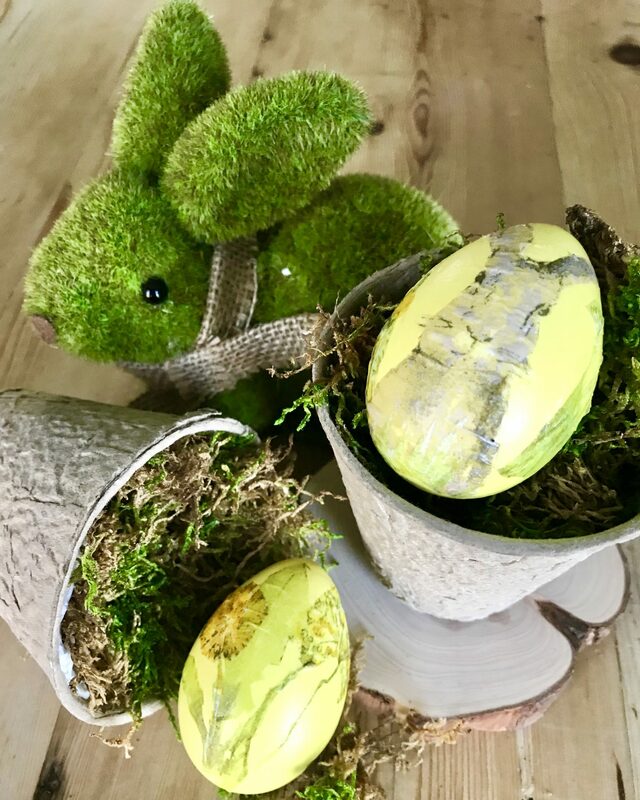 Its an easy and fun craft to do for your Easter table! First, unfold the paper napkin. 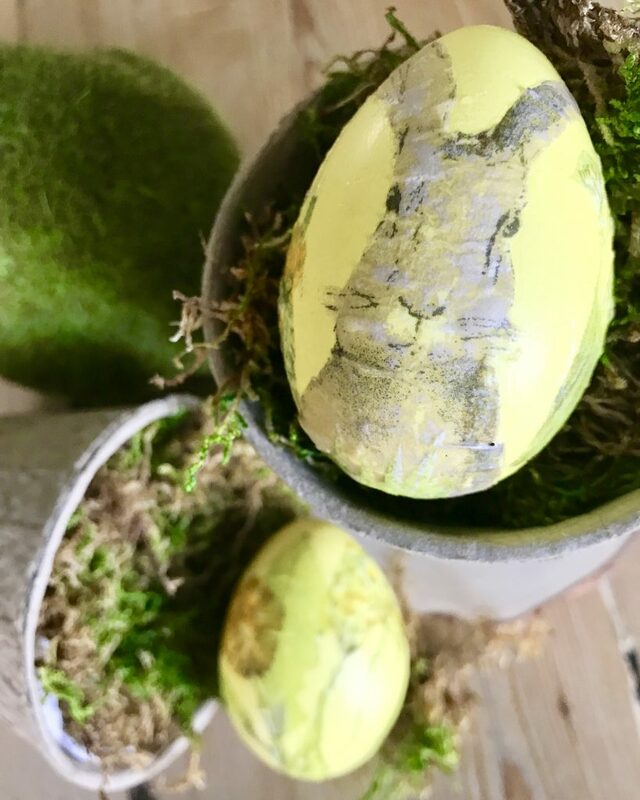 Cut out any of the design that you want to decoupage onto the eggs. If your eggs are white, then you can cut loosely around the design. 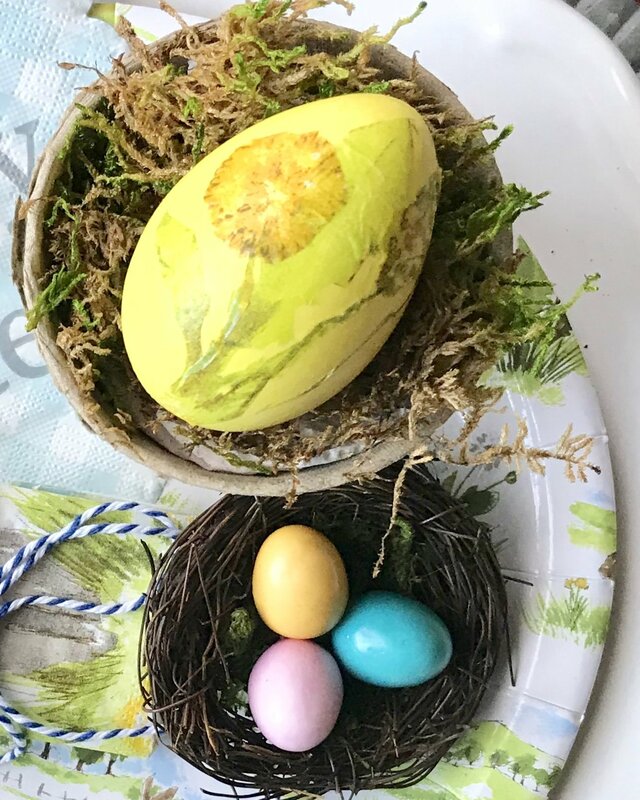 If you are using colored eggs, you will want to as close to the design as you can to eliminate any of the white space from showing, as seen below. If your napkin is two-ply, you can separate the two layers at this time. Choose a layout and what pieces of the design that you want on the egg, taking into consideration that one side will predominantly face up. Depending on your paper design, it could go around the egg. 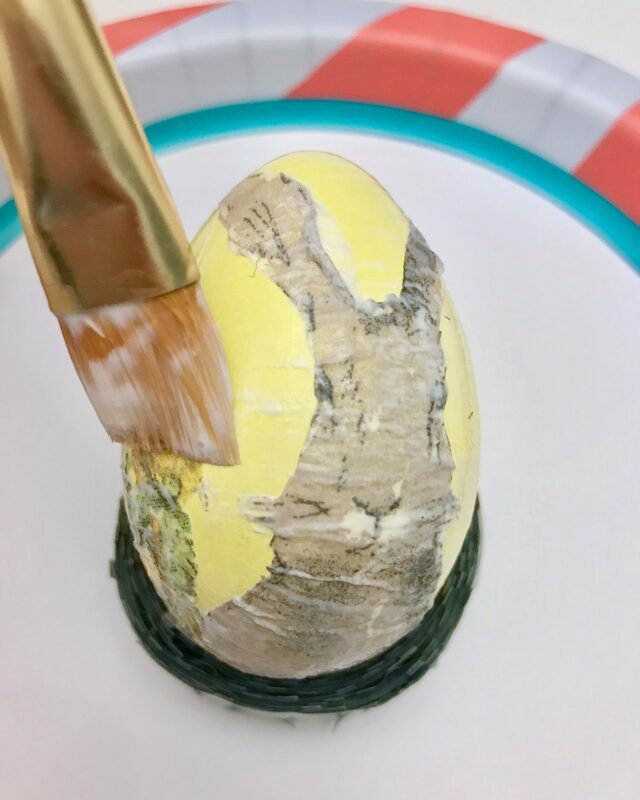 Using the brush, paint mod podge across most of the egg before placing your paper on top. You probably can’t move the paper without tearing once it is laid down due to the delicacy. 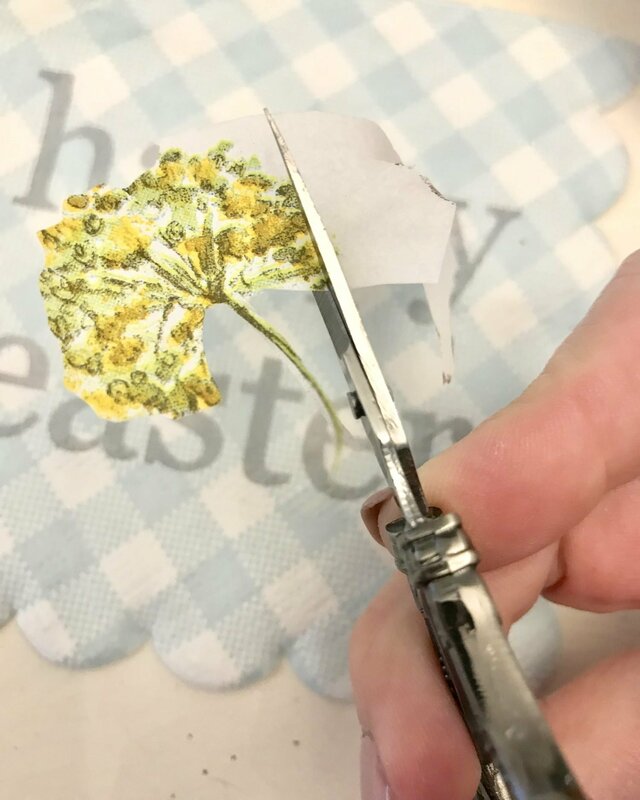 Apply the mod podge generously over the egg, covering the paper cutouts. Brush from the center of the paper outwards to press out any folds. 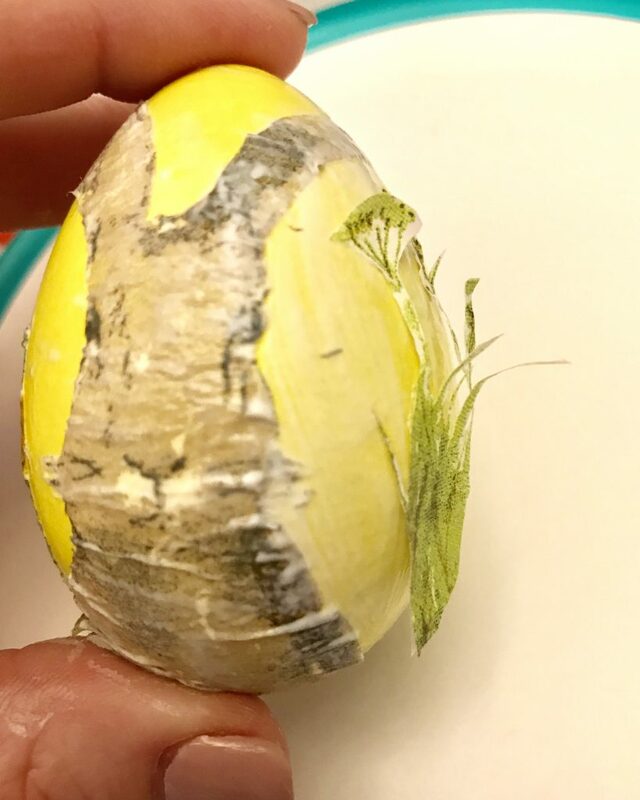 I used a roll of tape to hold the egg in place. 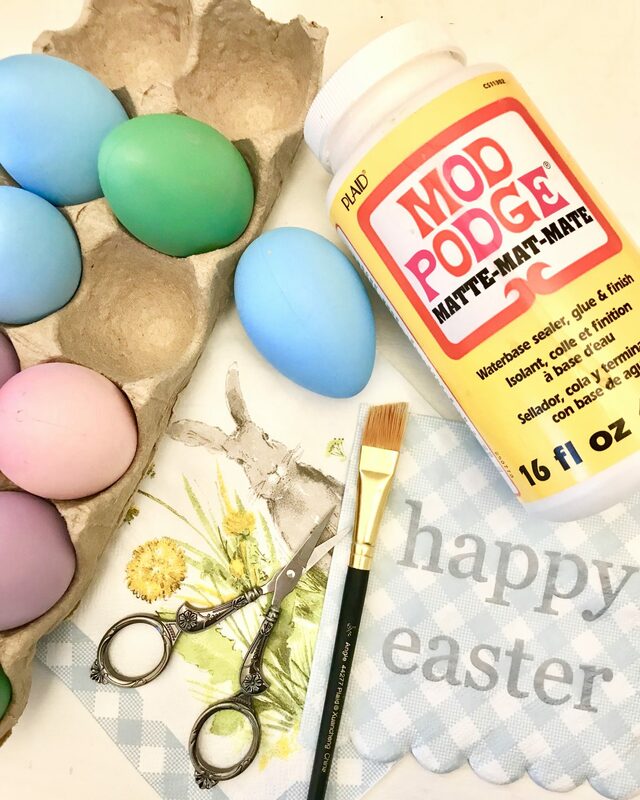 Once the mod podge begins to dry, do not touch the egg until it is completely dry. The paper will easily pull itself up onto your finger if you do. To display the eggs, you can use any type of container – mini buckets, crates or baskets. I found these seeding pots at Dollar General. They provided a natural look that I loved and worked well with the little brown rabbits. You can use real or faux grass, but I chose to use sheet moss. 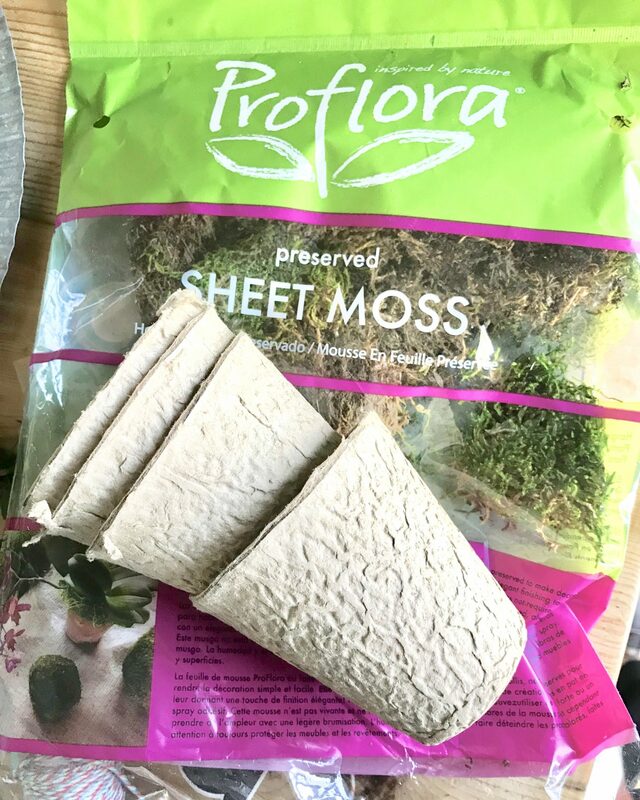 Just tuck a paper towel in the pot, first, to raise up the moss. Pull the moss apart a bit for a more organic feel. 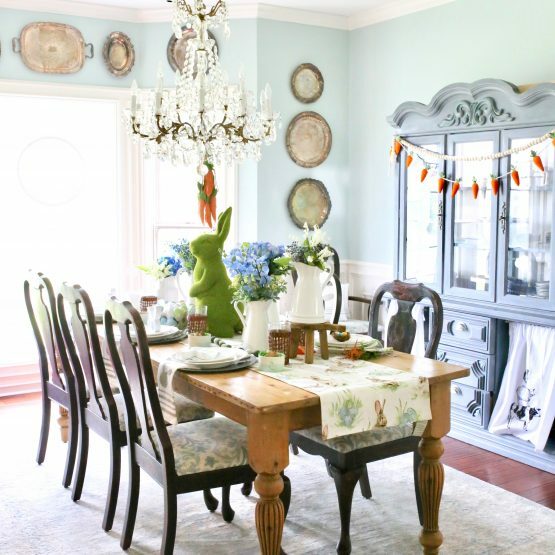 You can use your decoupaged eggs in your Spring or Easter tablescapes. 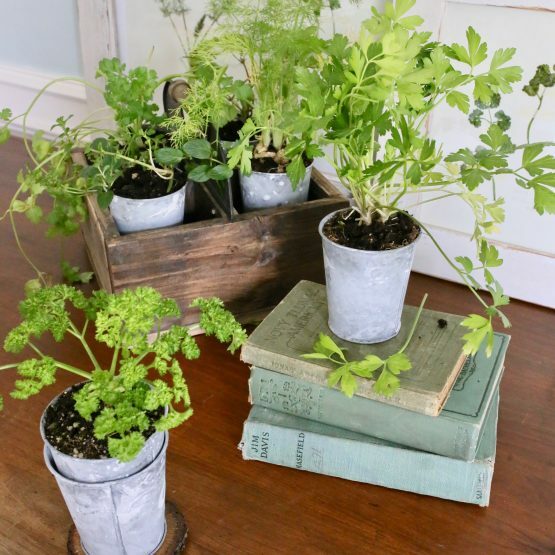 They would look cute styled on a tiered tray or placed in a coffee table vignette, too. 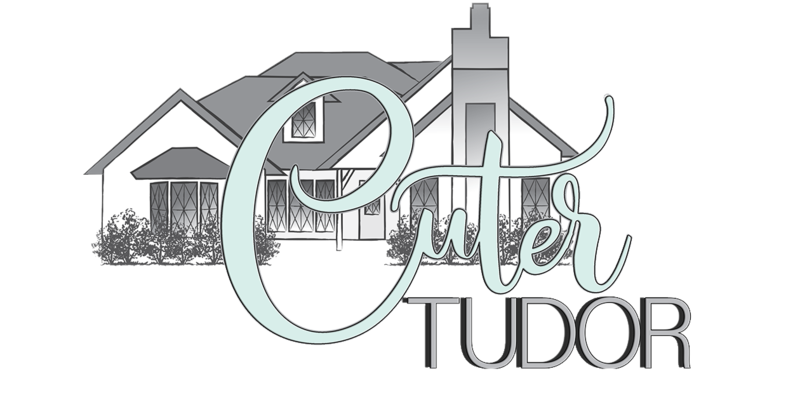 Thank you for hopping by the Cuter Tudor! Now scurry along to the next stop on the ‘I DIYed That’ Spring Tour. 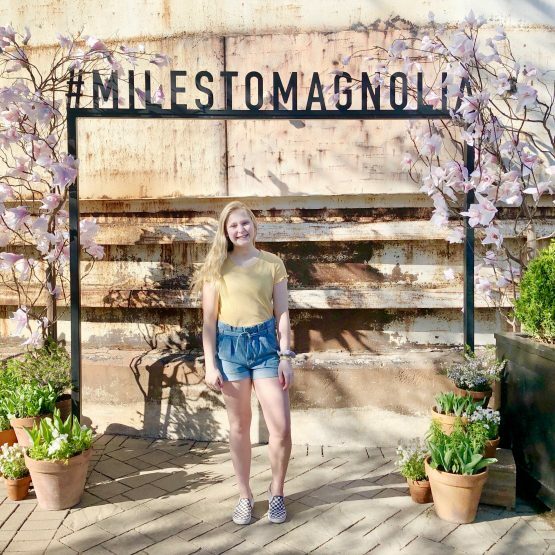 Head over to my friend Bree’s home at The HomeMaking Momma to check out how she built a table for to spruce up her living room for Spring.